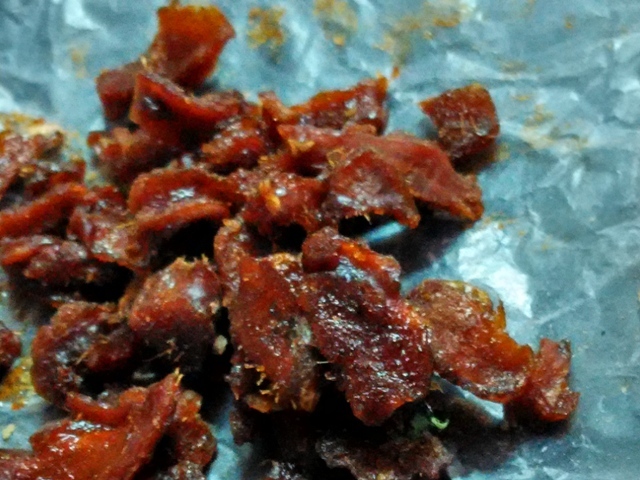 Ginger candy is good for indigestion, cough, and nausea. 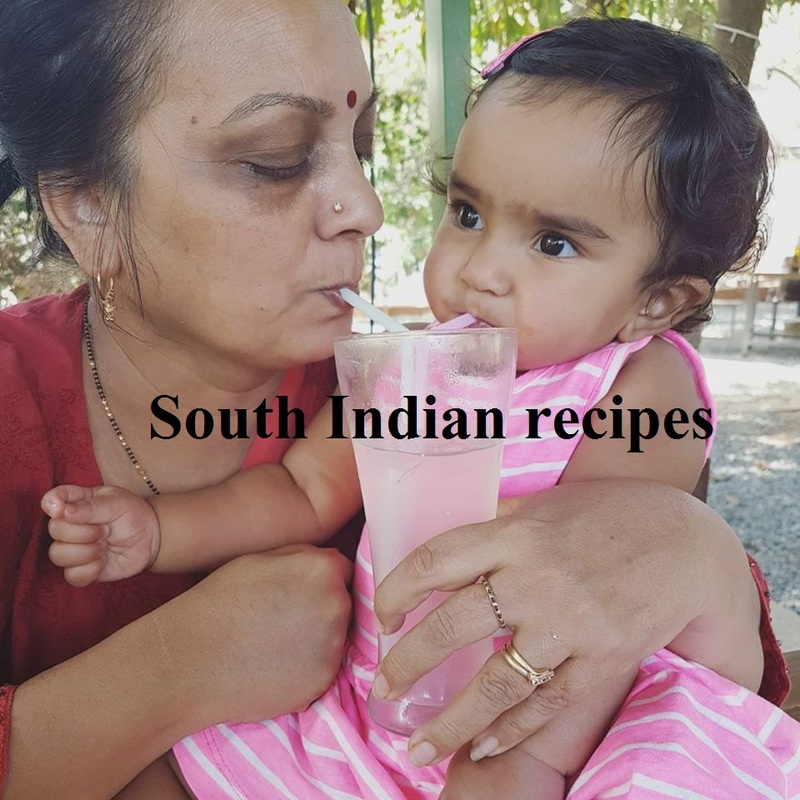 Whether you are looking for a ginger gel candy for kids or home remedy for nausea, ginger candy with jaggery is the answer. 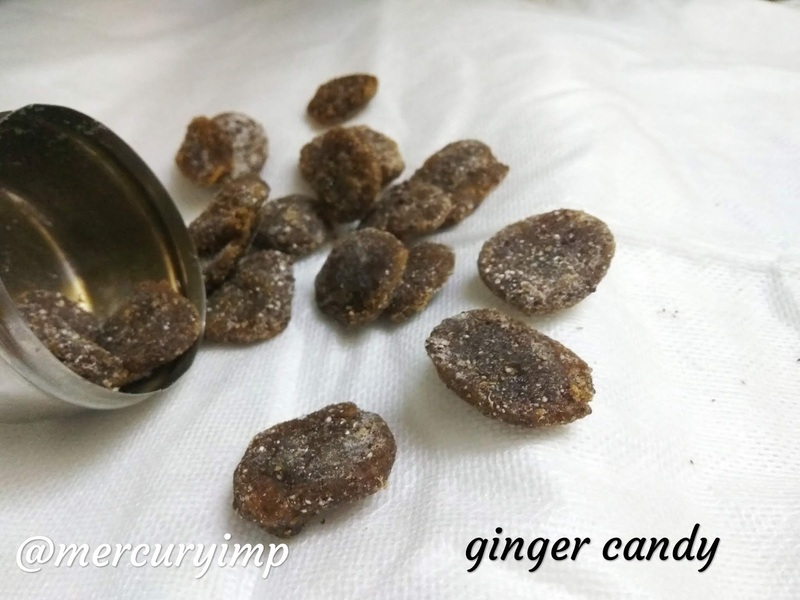 A simple recipe that uses minimal ingredients, the chewy ginger candy gives you reasons to smile even when feeling under the weather. 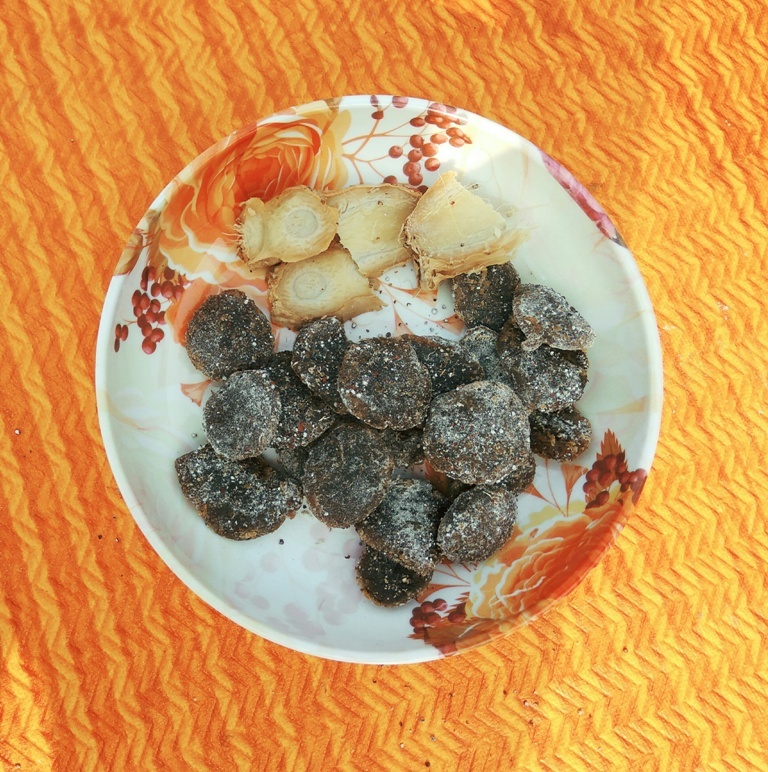 Thanks to ginger's warm nature, ginger candy recipe is a boon for cough and cold or winter blues. 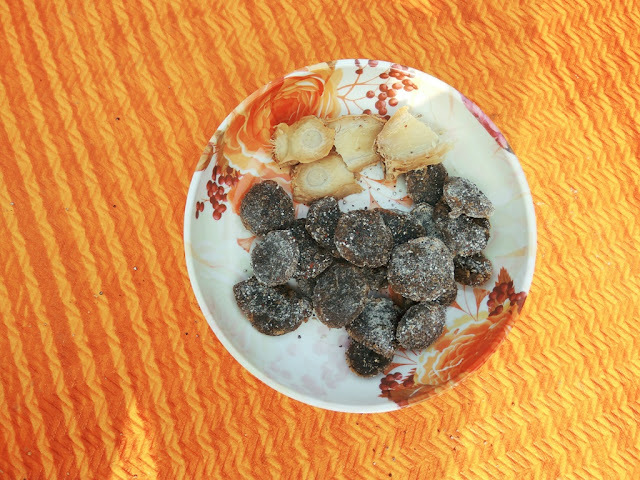 I am in love with these chewy ginger candy with jaggery, which is ideal recipe for indigestion and a perfect recipe for kids and elders alike. Whether you often suffer from a viral attack or nausea, candied ginger or ginger chews can give you the much-needed respite from these tough symptoms. There may be someone in your home with a motion sickness problem. The candied ginger promises to provide them with some relief on the road. Perhaps it might be your answer to the travel blues. What's more, if a loved one is undergoing chemotherapy, ginger can provide therapeutic benefits and immense relief from that nauseated feeling, which is one of the worst side effects of chemotherapy for cancer patients. Of course, candied ginger can give you relief from nausea and morning sickness during pregnancy. One ginger and so many benefits!! Besides being predominantly used as a spice for Indian cooking, Ginger can be consumed fresh, dried, or in powdered form. Ginger benefits health in more ways than one. The phenolic compounds in anti-inflammatory ginger can help relieve gastrointestinal irritation while stimulating salivation and bile production. 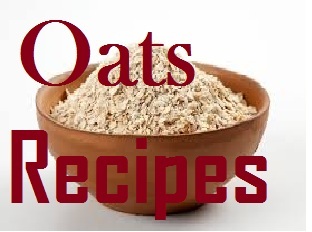 It helps suppression of gastric contractions when food flows through your GI tract. Studies are underway to look into the benefits of ginger as a preventive aid for colon cancer as well as constipation. As ginger is a diaphoretic, it activates the sweat glands and promotes sweating, helping keep the body warm from within. This makes ginger beneficial to ward off winter blues. Research reveals that ginger helps ease exercise induced-muscle pain as well as menstrual cramps for some women. Thanks to its anti-inflammatory properties, ginger can help treat inflammation and osteoarthritis symptoms. An immensely beneficial aid for chemotherapy patients, ginger for nausea relief provides soothing effects for those fighting cancer. A loved one is undergoing chemotherapy, and with God's grace and hubby dear's depth of knowledge, we have been able to minimize the chemo side effects for her. But that does not mean there are no adverse events. There still are minimal effects but compared to many other chemo patients, she has the minimum number of side effects. This fact was noted even by her chemo team. We are glad about it. 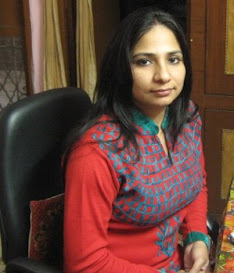 We would love to share her cancer treatment approach and therapies once she undergoes them successfully. There is still a long way to go. Fingers crossed. Our efforts are paying off. I wish she gets better soon. Make ginger paste with water. Add jaggery to a vessel. Throw in all other ingredients. Mix and let it rest for 10 minutes. Start cooking on medium flame. Keep stirring constantly and scrapping sides. This should go on until you get the desired consistency. Take a bowl with cold water, put a drop of the cooked syrup. If you can gather the drop like a ball within your fingers, it's done. Stop cooking after 1 minute. If not, continue to cook until your ginger syrup passes the test. Keep a greased plate/tray ready. I do not use butter paper. If you do, yu can keep it ready. Pour drops onto the greased tray. Allow them to cool for an hour. Dust with powderedjaggery using a sifter. This s optional. 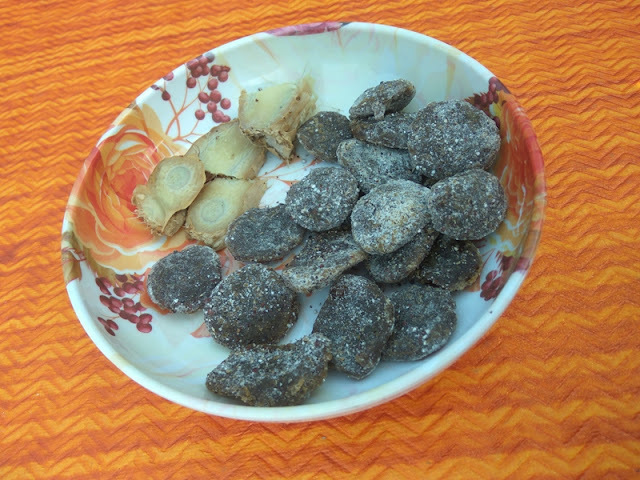 Enjoy candied ginger chews for cough, indigestion, cancer (chemotherapy), or motion sickness. Wash and slice it into thin pieces. I prefer to keep it thin for quicker drying of the candies. The thicker they are, the longer they will take to dry. Take a 2-liter pressure cooker. Add jaggery powder on top of the pieces. Pour 2 tbsp of water and cook for 15-20 whistles. If you sense a burning smell, turn off the stove immediately. If the jaggery syrup looks watery and has not thickened, cook it for a few more minutes until the syrup thickens. You may choose prepare the candied ginger in an open vessel too. When the syrup has thickened, your ginger candy is done. Remove and strain in another vessel. Place the candied ginger on a kitchen towel or tissue paper for drying. I changed the tissue paper every day for 3 days. My sugarfree candied ginger was ready in 3 days. The ginger candy tastes good as a medicine. The sweet coating makes it palatable for kids too, but once the sweet cover dissolves in your mouth, get ready for a spicy effect of ginger on your tongue! I love it this way - my dad too likes my kinda candied ginger. 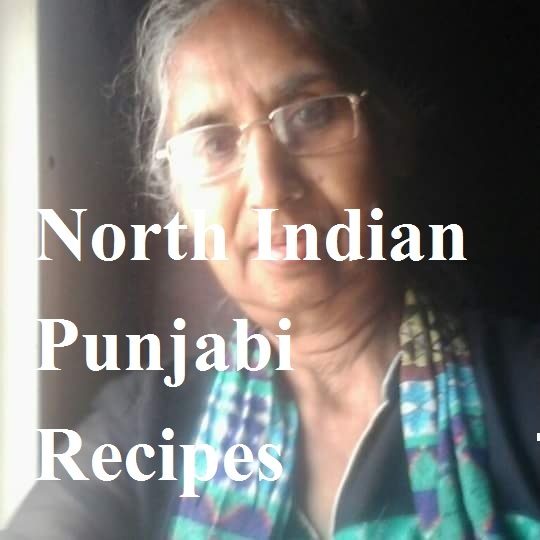 This ginger candy recipe is my gift to Balvinder Kaur Khera, who had asked for some home remedies for motion sickness for her princess. Thank you for the healthy tips shared here. I will try it outr as cough grounds me form days but no more especially when i have sweet ginger candy. Thank you for stopping by. Ginger candy is a must have during the cold season-one of the best remedies to ward off winter blues.